This weekend, HRC and the National Women’s Law Center (NWLC) launched full-page newspaper and digital ads in Alaska, Colorado, Nevada and Maine spotlighting the grave threat that Brett Kavanaugh’s nomination presents to LGBTQ equality, reproductive rights and affordable health care. The ads, included below, urge Senators to vote no on his nomination — and urges voters across these states to make their voices heard. 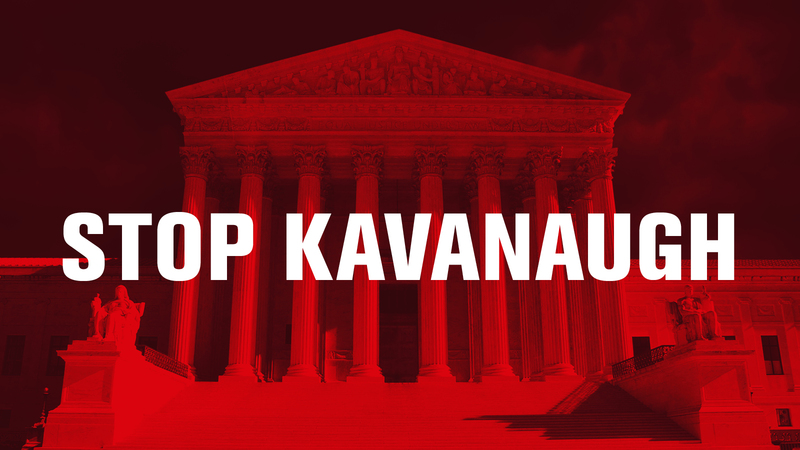 The ads, appearing in the Denver Post, Vegas Sun, Las Vegas Weekly, Maine Sunday Telegram, Reno-Gazette Journal, Anchorage Daily News and Bangor Daily News, will reach millions of voters in key states from coast to coast — and bolster efforts by HRC, NWLC and civil rights organizations to emphasize the danger and enduring consequences of a Kavanaugh appointment to the Supreme Court. The full-page ads will appear in the Bangor Daily News on Saturday, and on Sunday in the Maine Sunday Telegram, the Anchorage Daily News, the Denver Post and the Reno Gazette Journal. Digital ads will begin running Sunday in the Las Vegas Sun. And on Thursday, print ads will run in Las Vegas Weekly. HRC was an early opponent of Kavanaugh’s nomination. As a federal judge, Kavanaugh ruled that an employer's religious beliefs should be allowed to override their workers’ access to birth control — the same argument anti-LGBTQ extremists use to advocate for a license discriminate against LGBTQ people. If Kavanaugh votes to gut the Affordable Care Act as Donald Trump has promised he will, LGBTQ Americans will be severely impacted — in fact, transgender Americans and people living with HIV and AIDS could once again be denied health insurance for “pre-existing conditions.” Kavanaugh has also suggested Roe v. Wade was incorrectly decided, said that banning assault weapons as a category would be unconstitutional and claimed a president can refuse to enforce a statute even if a court has ruled that the statute is constitutional.